Bar Charts/Graphs best display information that is categorical in graphical form. They can be either be vertical in scale or horizontal in scale. 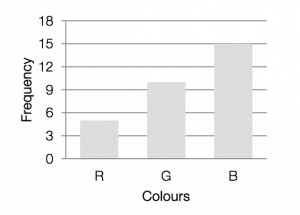 There is usually a separation between ‘bars’ to illustrate each category. Bar Charts can also be grouped together to represent multiple categories. 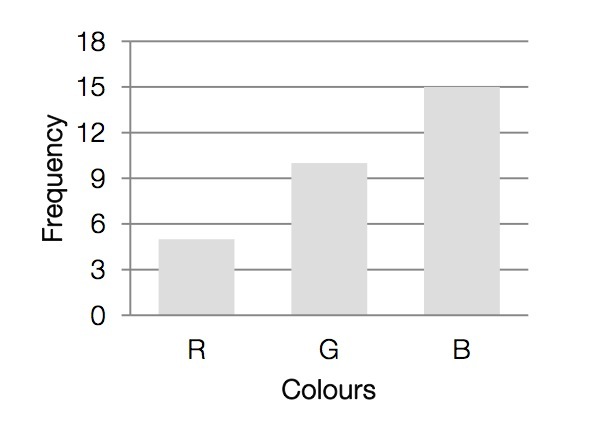 In the bar chart below, each coloured bar represents the number of sales of a certain brand of phone (1 – Nokia, 2- Apple, 3 – Samsung, 4- Blackberry) and also the year the sales data was taken from. 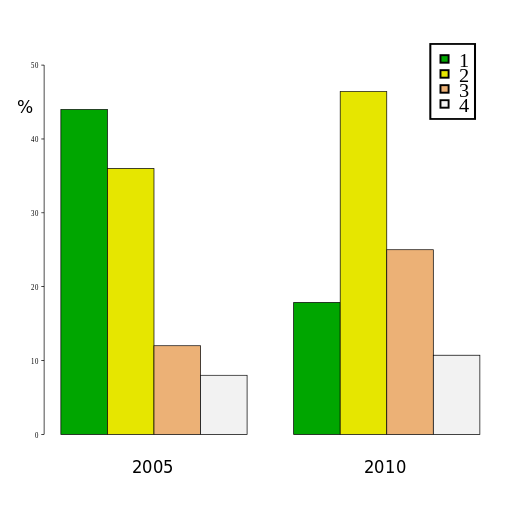 In a segmented bar chart, bars are stacked one on another to give a single bar with several different components. The length of the various components determine the frequency of each component. 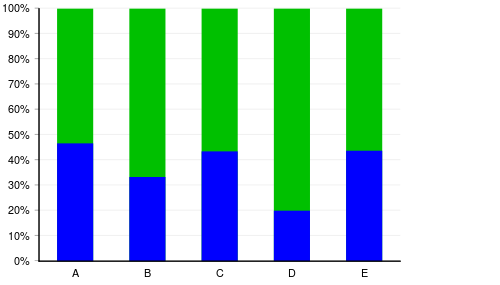 The following segmented bar charts could show the percentage of boys (blue) and girls (green) who buy particular types of books (A – Harry Potter, B – Hunger Games, C – Pride and Prejudice, D – Twilight and E – Tomorrow when the war began).